Exercising your brain while having fun and giving your eyes a break has never been so easy! 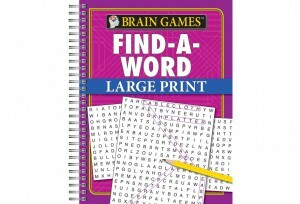 Brain Games: Large Print Find-a-Word is guaranteed to provide hours of enjoyment. The more than 40 word searches included in this book run the gamut from U.S. presidents to foreign countries to famous rabbits to Frank Sinatra. And the large, readable type means you won’t need to strain your eyes as you work the puzzles. The word searches start out easy and work their way up to challenging. 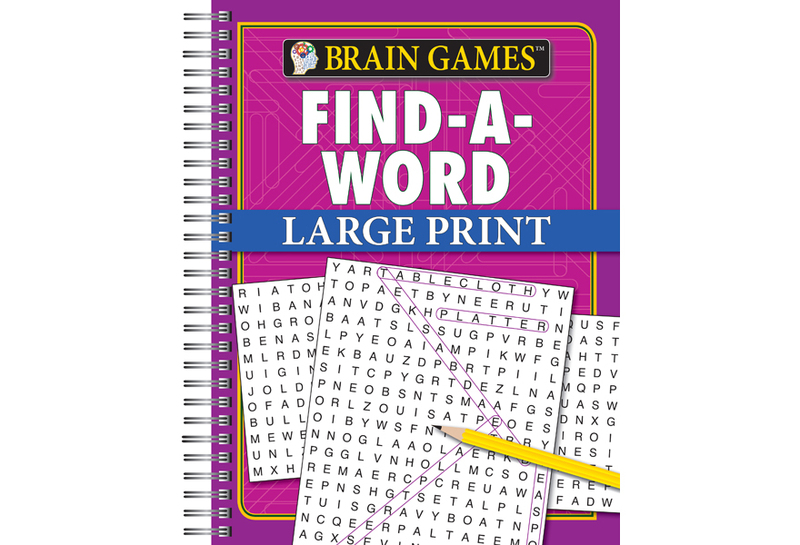 Included with the standard searches, we’ve also mixed in 3-dimensional puzzles and hidden quotes and anagram mind-benders to help keep your brain in tip-top shape. The spiral binding helps your book to lay flat when you open it so you can solve puzzles on your kitchen table or your desk at work. Answers to all puzzles are found in the back of the book.